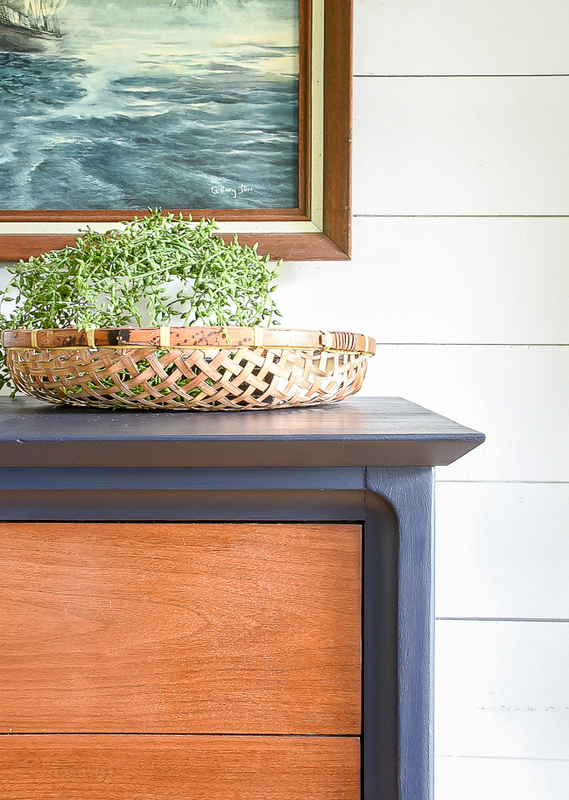 A vintage Dixie dresser gets a two-tone makeover with Coastal Blue milk paint! White and wood will probably always be my favorite furniture combination, but wood and Coastal Blue are quickly becoming a close second. 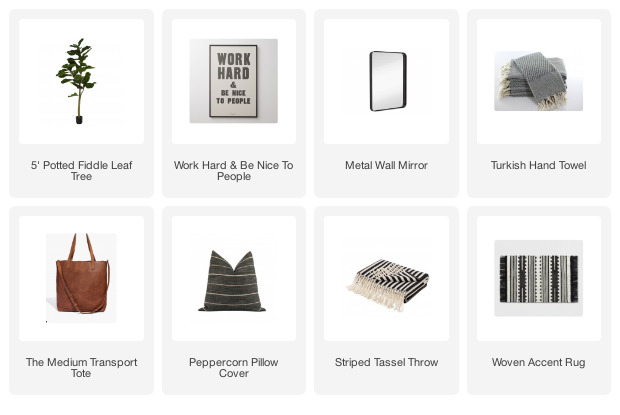 The deep dark blue is neutral enough to go with almost anything and a little more interesting than traditional white or black. 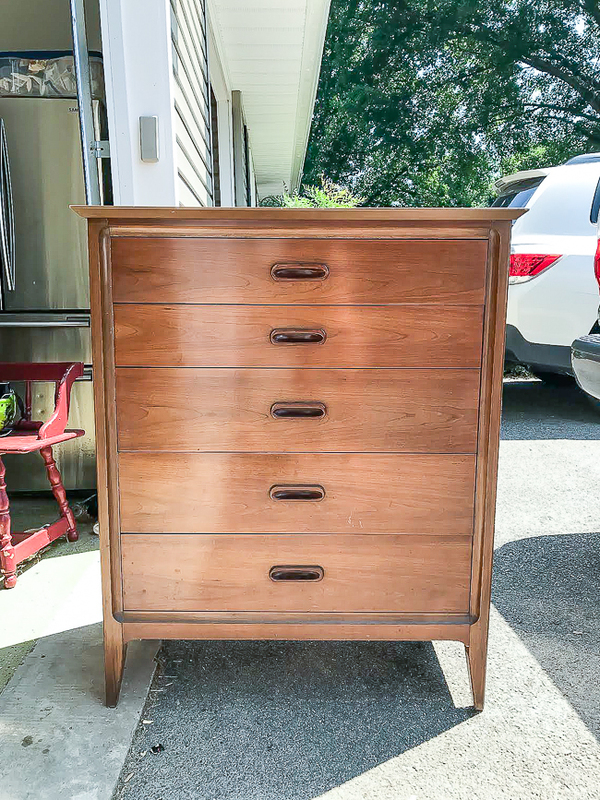 Just recently, I bought a vintage Dixie dresser off Facebook Marketplace that was in good enough condition to keep the drawers original and just update the body. 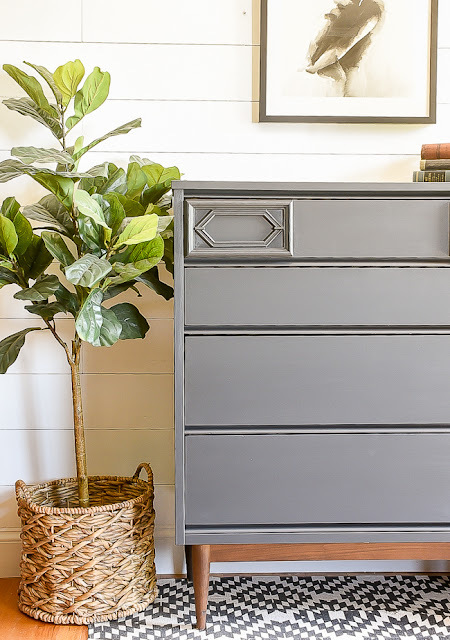 I love wood furniture and I love painted furniture, but the combination of the two is definitely my favorite. 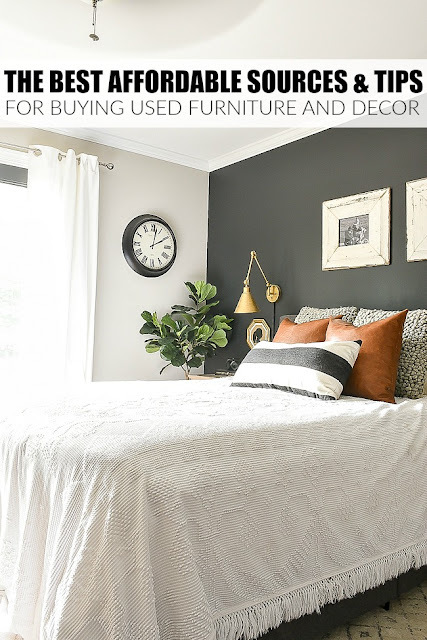 The best tips and tricks for finding good quality, affordable, used vintage furniture and decor. 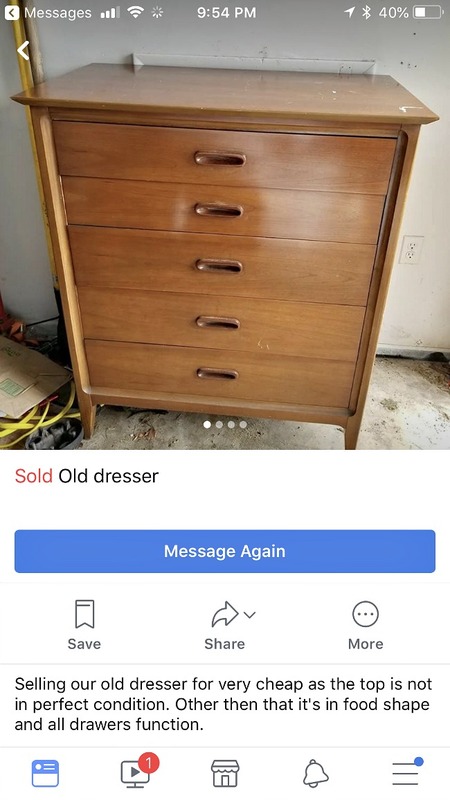 My partner, Cassie, is the one who initially found this dresser on Facebook Marketplace, but it was closer to my house so she messaged me and told me I HAD to get it. She's lucky I'm a good partner and do what I'm told, ha. The Dixie dresser was in really good shape besides some minor damage to the top and one of the drawers. I thought I was going to have to paint the entire dresser, but thankfully, Old English disguised the scratches enough on the drawers that I didn't have to paint them. 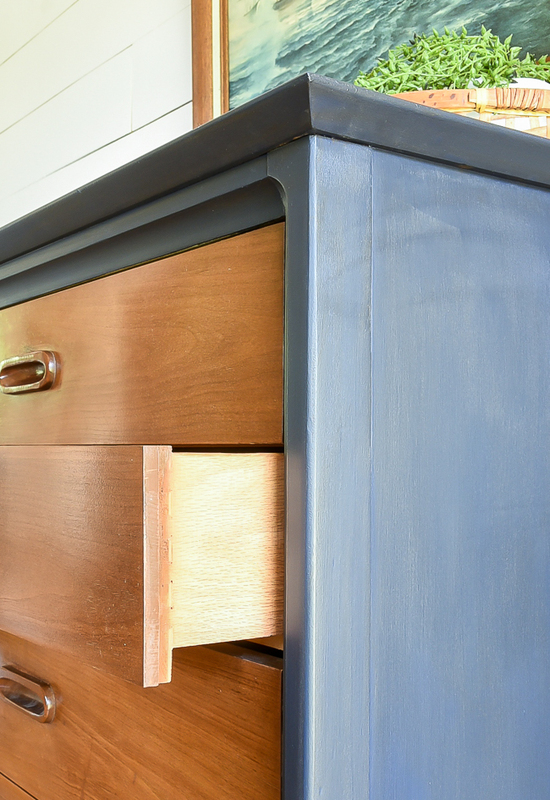 For the rest of the dresser, I gave it a good sanding before applying 2 coats of General Finishes Coastal Blue. 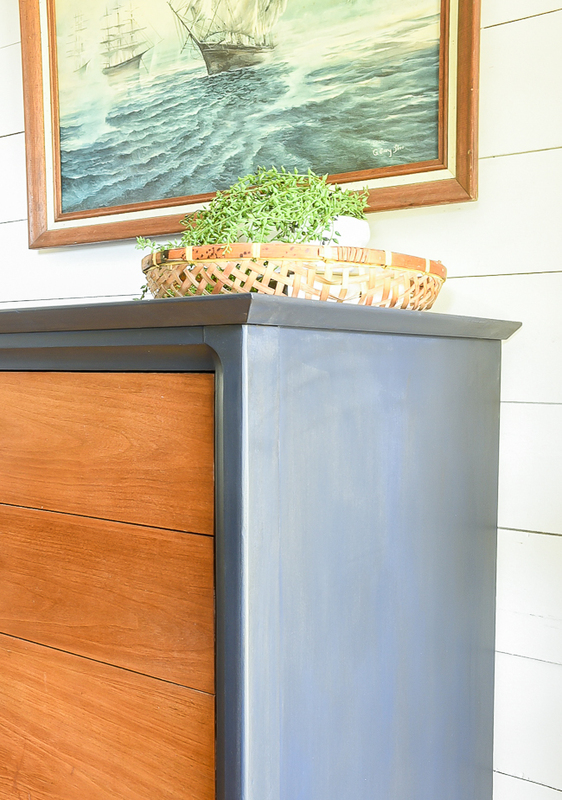 To give the paint a little more depth and dimension I sealed the dresser with antique wax. 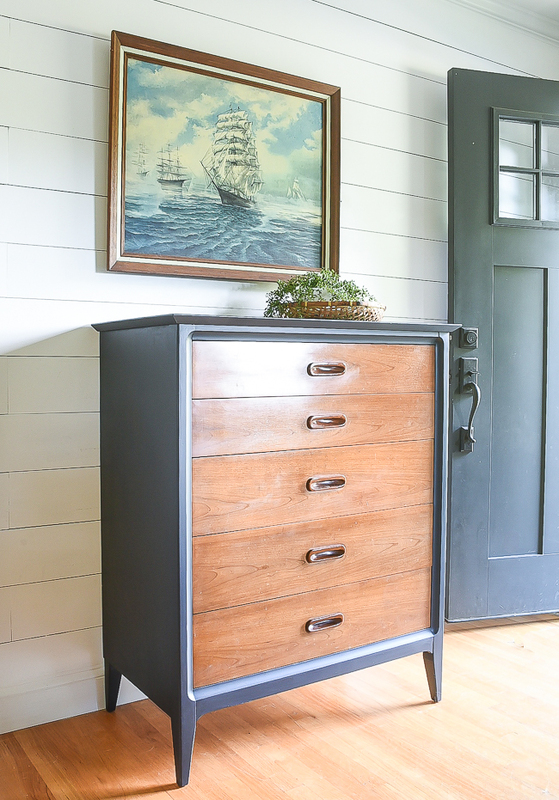 I love the slight variation in the paint and think it works well with this masculine dresser. 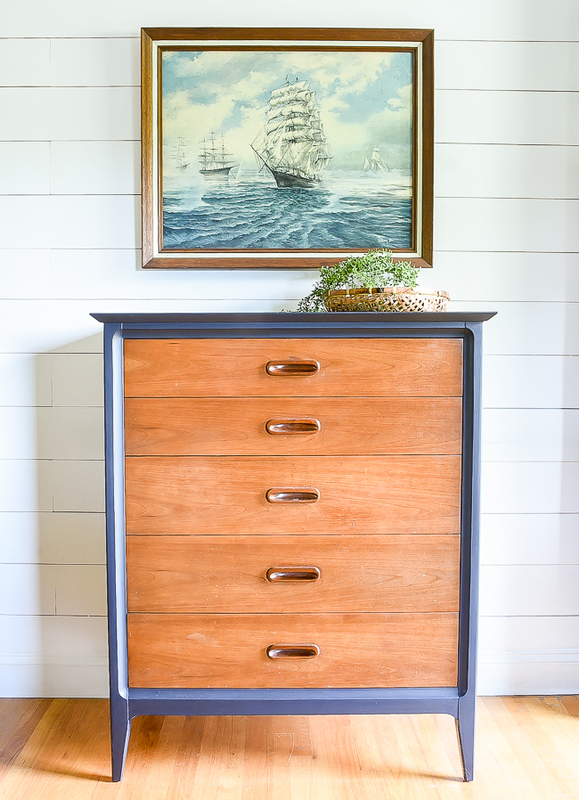 This beautiful two-tone Dixie dresser will be available at Sweet Clover Barn August 17th-19th! you know i love this one!